Building off of a successful 11 years, the 2019 Nevada Health Care Forum will continue the overwhelming success of last year's Forum event attended by more than 250 healthcare industry executives and government leaders along with more than 30 nationally recognized dynamic presenters including national and local CEOs, legislators and industry experts addressing sweeping changes impacting our healthcare industry, opportunities for improving our national and local healthcare delivery systems, and much more. The Nevada Chapters of the American College of Healthcare Executives (ACHE), Healthcare Financial Management Association (HFMA), Healthcare Information and Management Systems Society (HIMSS) and Nevada Medical Group Management Association (NVMGMA), in conjunction with the Clark County Medical Society, Case Management Association of Las Vegas, Las Vegas HEALS, Nevada Advanced Practice Nurse Association, Nevada Executive Women in Healthcare, Nevada Health Information Management Association, Nevada Nurses Association, Nevada State Board of Nursing, Nevada Organization of Nurse Leaders, and Washoe County Medical Society, have all come together to organize this Nevada statewide symposium. The event to be held on Tuesday, October 8, 2019 at the Enclave - 5810 South Eastern Avenue, Las Vegas, Nevada 89119. This event brings together most of Nevada’s healthcare leaders covering a broad section of the industry, including providers and provider executives (physicians, nurses, allied health providers); hospital, post-acute care facility and ancillary care provider executives, academia, employer group and health plan/insurance executives, government officials, students, media and consumers of healthcare. The mission of the Nevada Chapter of the American College of Healthcare Executives is to be the professional membership society for healthcare executives; to meet its members’ professional, educational, and leadership needs; to promote high ethical standards and conduct; to advance healthcare leadership and management excellence; and to promote the mission of ACHE. HIMSS Nevada Chapter is the Nevada State Affiliate for HIMSS. HIMSS is a global, cause-based, not-for-profit organization focused on better health through information and technology. HIMSS leads efforts to optimize health engagements and care outcomes using information technology. HFMA Nevada chapter is the Nevada state affiliate of HFMA. HFMA is comprised of about 40,000 members employed by hospitals, integrated delivery systems, long-term and ambulatory care facilities, managed care organizations, medical group practices, public accounting and consulting firms, insurance companies, government agencies and other healthcare organizations. Nevada Medical Group Management Association (NVMGMA) is the Nevada state affiliate of MGMA. NVMGMA serves Northern and Southern Nevada and is dedicated to the advancement of group practice management through educational programs and publications. The Clark County Medical Society was chartered on July 15, 1955 by the Nevada State Medical Association and has grown to more than 1,000 members. We are proud to have served Southern Nevada physicians and their patients for the past 55 years. The Medical Society answers hundreds of telephone calls each month from the public. These calls include requests for physicians referrals and background information about member physicians. We are proud to tell callers, "Yes, Dr. ___________is a member in good standing." A group of local case manager leaders founded the Case Management Association Las Vegas in September 2004. The primary focus of the association was, and continues to be, enhancing the professional practice of case management and ultimately improving health outcomes for the Las Vegas Community. Additionally, they established a long-term goal of becoming an affiliate chapter of the Case Management Society of America (CMSA). As Nevada’s only Advanced Practice Registered Nurse (APRN) centric organization, the Nevada Advanced Practice Nurses Association (NAPNA) is committed to improving access to care for all Nevadan’s. Through the development of leadership roles, professional education, policy formation and legislative action we seek to transform and improve patient centered care provided by Nevada’s APRN community. Nevada Health Information Management Association is the Nevada component state association of our national organization, the American Health Information Management Association (AHIMA). As experts in clinical data and information management, the professional members of the American Health Information Management Association (AHIMA) are vital to the healthcare industry. For over 80 years, the Nevada Nurses Association (NNA) has been addressing the issues and challenges facing our profession. 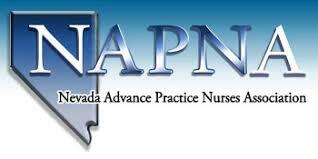 We proudly represent the voice of registered nurses across Nevada. NNA is an association of nurses working for nurses. We represent all of Nevada's RNs including staff nurses, nurse educators, nurse practitioners, school nurses and public health nurses. We take a comprehensive and multi-purpose approach to advocating the needs of all registered nurses in all settings. Together in partnership with the American Nurses Association (ANA), NNA provides a powerful platform to help professional nurses in our state achieve their goals. The Nevada Organization of Nurse Leaders is a professional non-profit organization that develops nurse leaders, advances professional practice, influences health policy and promotes quality and patient safety. The Nevada State Board of Nursing was created in 1923 by the Nevada Legislature to protect the public from unsafe or incompetent nursing care. It is a seven-member board appointed by the governor consisting of four RNs, one LPN, one CNA and one consumer member which regulates a nursing population of more than 38,000. The Pharmaceutical Research and Manufacturers of America (PhRMA) represents the country's leading innovative biopharmaceutical research companies, which are devoted to discovering and developing medicines that enable patients to live longer, healthier and more productive lives. PhRMA is committed to advancing public policies in the United States and around the world that support innovative medical research, yield progress for patients today and provide hope for the treatments and cures of tomorrow. The Washoe County Medical Society is a professional corporation organized for the purpose of providing advocacy for physicians and patients, and to promote and improve the art and science of medicine and public health. Serving as a primary source of health related information, we seek to educate our members and the citizens of Northern Nevada.